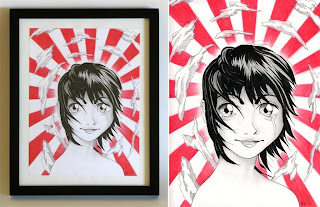 As the tragedy in Japan slowly unfolded, artists across the world quickly came together and organized art shows and events to raise funds for the earthquake and tsunami relief efforts. 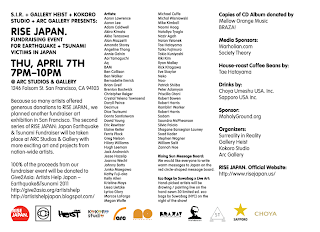 Many of these were organized on the West Coast, and local artists in the San Francisco bay area are mounting a two part exhibition with all proceeds going to Give2Asia: Artists Help Japan. Rise Japan Vol. 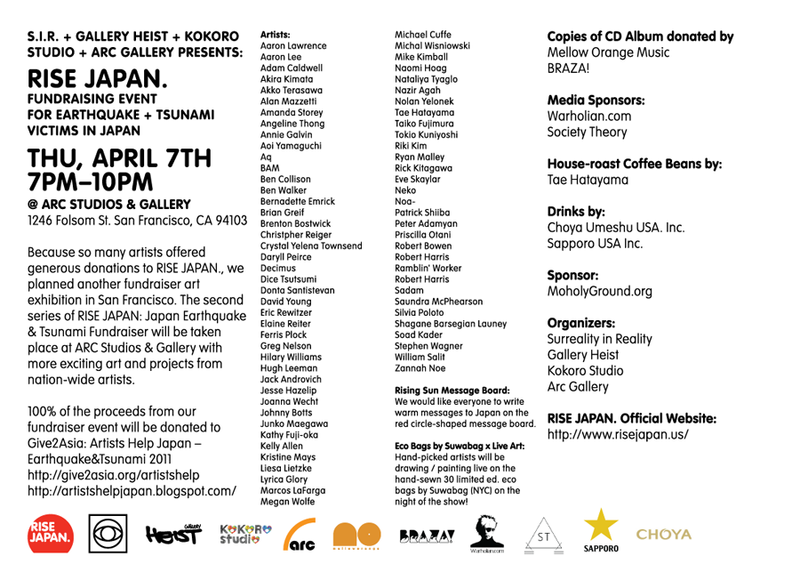 1 took place at Kokoro and Gallery Heist on on April 2. Most artwork was priced around $100 to make it more affordable and each piece is both shows is a full donation on part of the artist. My friends Jeremyriad and Sean-Franc are now happy owners of some beautiful original work as a result. They helped a very worthwhile cause, along with everyone else that night, and contributed to raising an amazing $15,542! 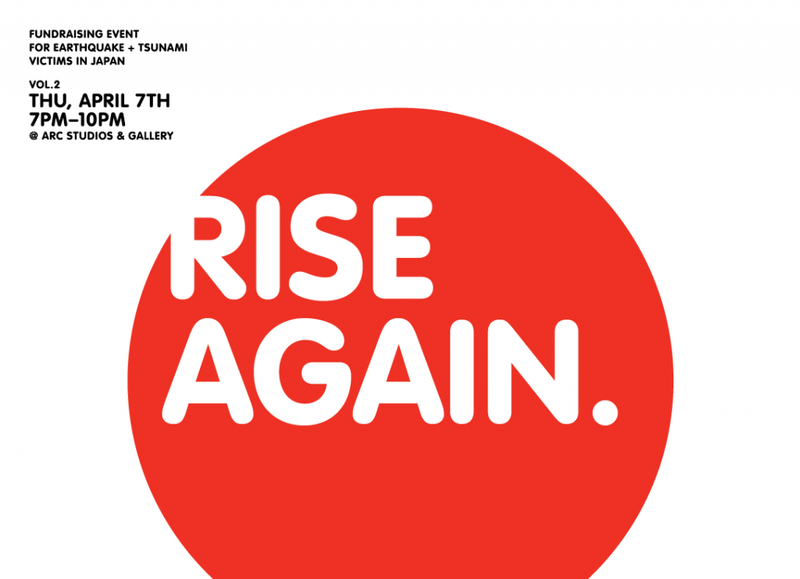 On Thursday, April 7, the second installment opens at Arc Gallery as Rise Japan Vol. 2. With the larger exhibition space at Arc, this night promises to have an even greater selection of work. If you are in the area I encourage you to swing by at 7 pm for the opening. My contribution, "Ganbatte! / ガンバッテ," 9 in. x 12 in. For Vol. 2, I contributed a piece that I hope will sell and add to the growing sum to be donated. I trust the organizers that donations will be put to good use in the ongoing difficulties that the Japanese people are facing. Because my work has so long been inspired by Japanese culture, these events have preoccupied my mind for weeks. Especially the fact that when applying for the JET Program for the 2010 season I was requesting to be in Sendai. Update: The opening reception was a big success, with artwork practically flying off the walls. Check out more photos from the opening in the slideshow above or see the whole album here. More great photos are up in Ben Needham's Facebook album.